How much Canadians give annually to charities? In 2010 we donated over $10 billion to various charities across the globe! Where Canada fits on the world scale of how much we donate to charity? In 2012, Canadians raised the most funds worldwide during Movember – a campaign originating in Australia to raise awareness for men’s health issues. Click here to read the McLean’s report. CBC filed a revealing report last week showing that although we are among the most generous in the world, more and more of our funds are being directed to international causes. The article covers many aspects of charitable giving with some very interesting statistics and considerations. If you are a regular donor to charities, it is a good read! In 2010 we were 14th of 23 OCED (Organization for Economic Co-operation and Development) in funds directed to foreign aid. The Government however, stresses that the quality of life improvement for recipients far outweighs the dollar amounts they send. If you would like to read more about foreign aid, go here to read The Globe & Mail article. Why Canadians are passionate about giving? It only makes sense that we give to causes we’re passionate about, or for organizations whose values we align ourselves with. Canadians receive one of the highest tax benefits in the world for their donations, so naturally that is going to impact the amount of charitable donations we extend to Canadian charities, and other receiving organizations. According to this CRA (Canada Revenue Agency) study, there are many reasons we are motivated to give. There are also reasons we don’t give – one of them being how we are approached. The CRA encourages Canadian charities to read through this information to evaluate their processes and activities. How much of your donation dollars actually go towards the charity programs? Donating money represents part of your life – you’ve worked for that income and are trading some of the hours spent earning it to give to others. There are many, many charities that recognize and appreciate that aspect of your giving, while others aren’t so cognizant of this fact. How can you find out what percentage of your donation dollars are actually at work for your favourite cause? Charity Focus, an organization dedicated to educating Canadians about the charities we support, provides a phenomenal service in breaking down the income vs expenses and where the money goes for Canadian registered charities. Check out their website to gain insight on those you already support or are considering sending some of your hard earned income to. The many unique ways you can support your cause without actually providing cash out of pocket? Charities know that there are so many ways you can give, whether it’s a cash donation, volunteering, estate planning, gift in kind, wish list items, etc. If you haven’t thought of or considered other opportunities besides a cash donation, you may want to check out what other options are available to you with your charity of choice. Donate A Car Canada is happy to provide one such program for our donors. Giving a vehicle away is a big deal, but it’s also a responsible venue to ensure unnecessary carbon footprints are not soaked into our environment. 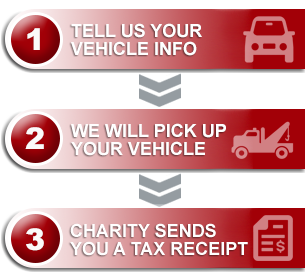 Whether a vehicle is recycled or auctioned, you can be assured we work hard to make the most of each donation, and even though we are not a charitable organization ourselves, we try to keep our overhead at a minimum so that the lion’s share of your generosity goes to work for the charity you’ve chosen to support. June Awareness | Get Involved!